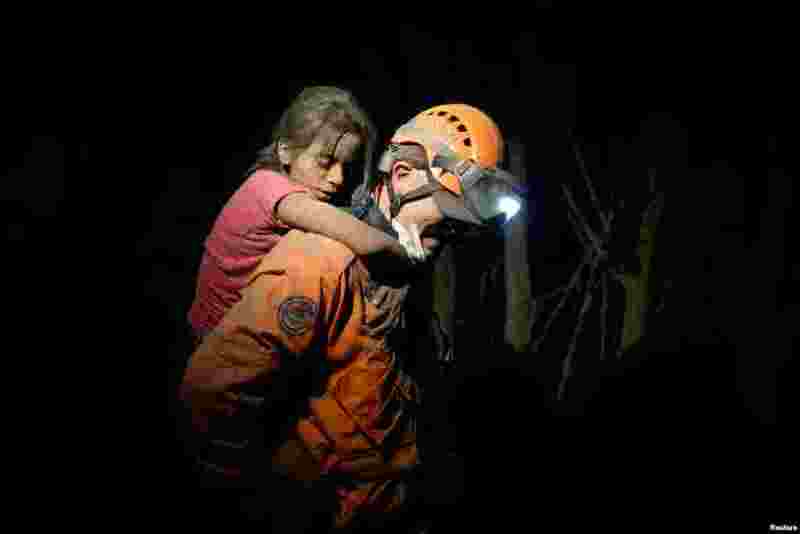 5 A rescue worker carries a child covered with ash after Fuego volcano erupted violently in El Rodeo, Guatemala, June 3, 2018. 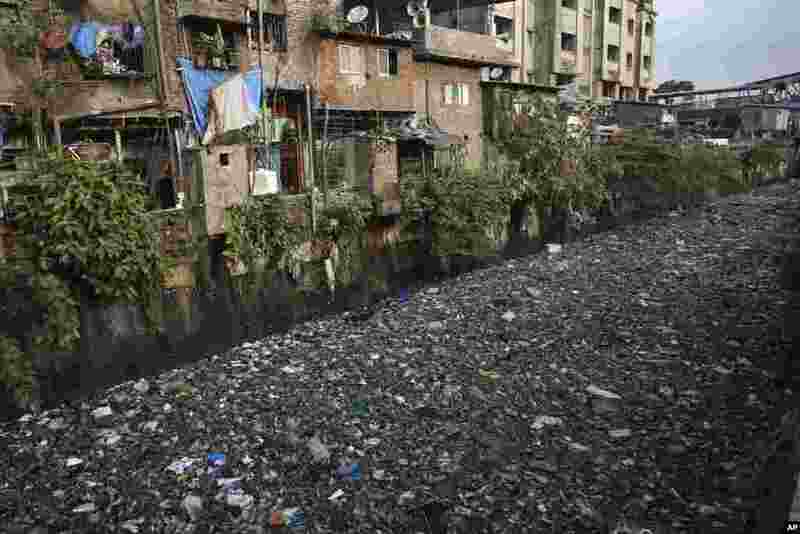 6 Garbage chokes a polluted canal in Mumbai, India. The theme for this year's World Environment Day, marked on June 5, is "Beat Plastic Pollution." 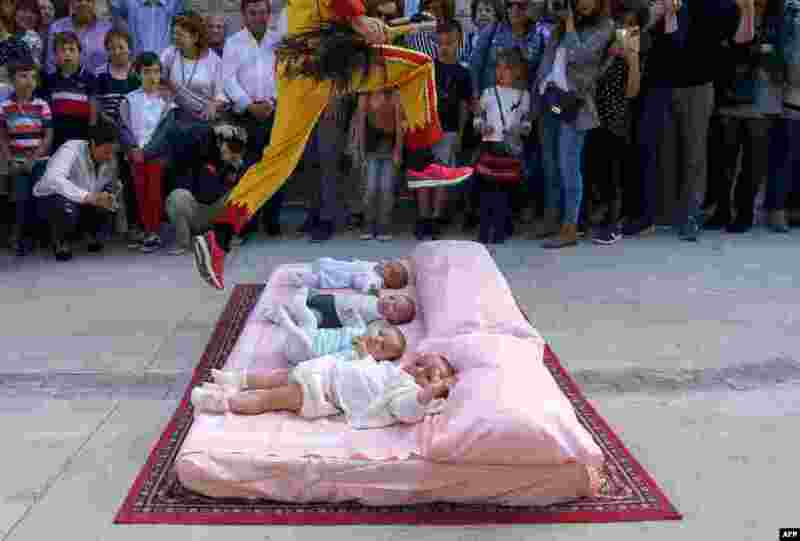 7 The 'Colacho' (man representing the devil) jumps over babies during 'El salto del Colacho', the baby jumping festival in the village of Castrillo de Murcia, near Burgos, Spain, June 3, 2018. 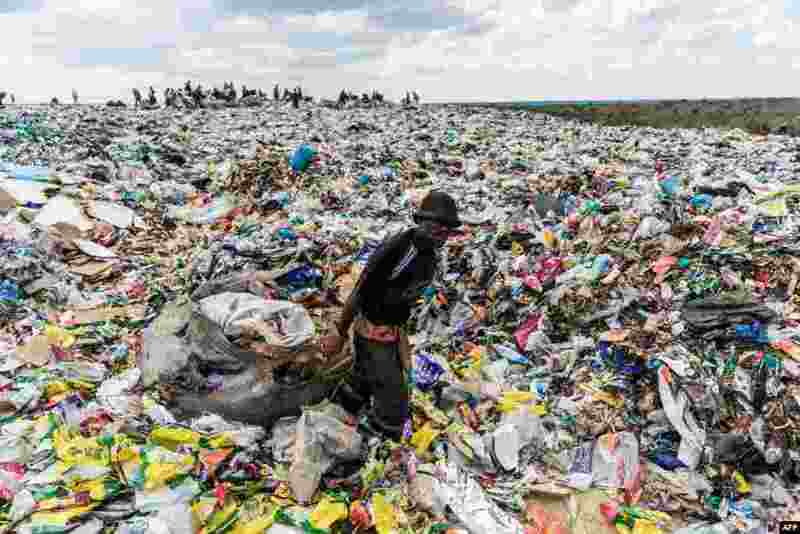 8 A man drags a huge bag of paper sorted for recycling past a heap of non-recyclable material at Richmond sanitary landfill site in the industrial city of Bulawayo, Zimbabwe.